The apartment is fully furnished and comes fully equipped with all you will need to enjoy your holiday, located in a well planned complex. We would like to welcome you to our apartment. The apartment provides high quality, self-catering holiday accommodation in Cabo Roig, on the south of the Costa Blanca. The apartment is located directly next to the strip consisting of a variety of bars and restaurants to accommodate all tastes, and is a 10 minute walk from Cabo Roig beach. Enjoy a wonderful, relaxing, fun-filled holiday in Cabo Roig, with its many bars, shops, beaches, golf courses and other family activities The property is located within La Rotonda Apartments, a well planned complex which includes bar, restaurant, secure underground parking and more. The apartment is fully furnished and comes fully equipped with all you will need to enjoy your holiday Cabo Roig plays host to many varied activities which you can enjoy on your holiday. From scuba diving, snorkelling and golf, to beaches, bars, restaurants, boat trips, go-karting, theme parks...the list is endless. 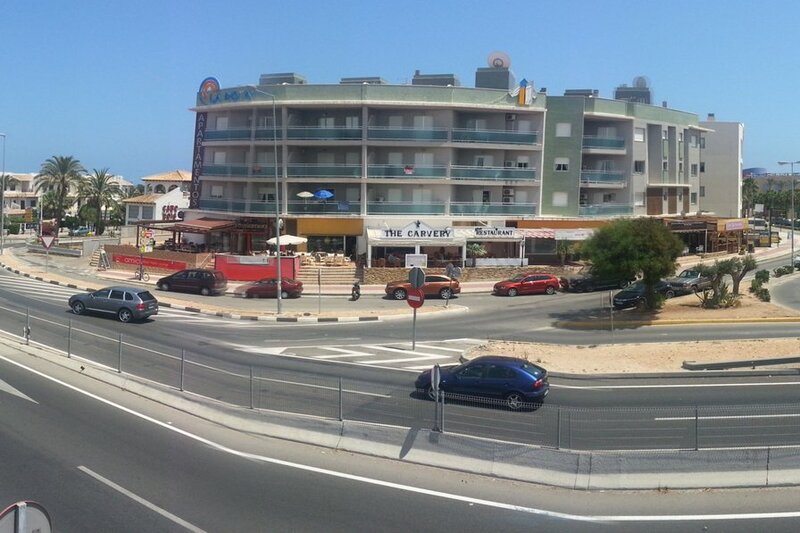 A local bus service will take you directly to the new and famous 'La Zenia Boulavard' shopping Plaza which is only 2 km from the apartment,there you will find High street Stores ,Bowling, Casino, Bars ,Restaurants, Beer Garden, Sports shops and Primark ,enjoy the nightly entertainment during summer season in the main Plaza. Theme park tickets and Benidorm attractions can be purchased at reduced cost from the reception ,tours can also be organized here. Buses to most tours and attractions stop approx 100 m from La Rotonda complex.